Fela Anikulapo Kuti’s memory lives in the hearts of many and his legacy was sealed with the recent opening of a museum in his honour. His memory has, however, found another home with Seun, his youngest son, having a tribute tattoo on his back. 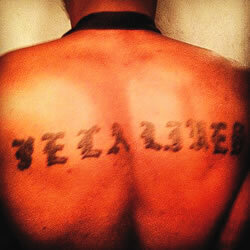 The tattoo reads,‘Fela Lives‘, and we quite agree with him.